Check in at Alexa’s Café to get your event wristband, 10 tasting tickets, and your map to find out which shop is hosting which winery/distillery/brewery. Each shop will also have delicious appetizers to enjoy. Buy your favorites as you taste them or head back to Alexa’s Café when you are done tasting to purchase bottles to take home (at discounted prices!). Proceeds for this event benefit the Greater Bothell Chamber of Commerce’s many programs and events that work to connect businesses and community in the Bothell and Kenmore areas. Event is a collaboration with Seattle Uncorked! Wine Tasting, Beer Tasting, and Spirits Tasting, all in one! The story of pilsner starts in 19th century Bohemia when a Bavarian monk smuggled a special yeast to a brewmaster in Pilsen. The world’s first blond lager, the original Pilsner Urquell, is still produced there today. The story of pFriem Pilsner starts in the Pacific Northwest, Josh Pfriem a Seattle native who’s love of beer sent him bicycling around Belgium, concocting batches in a shed in his backyard, tracking down the best brewers around and needling them for information. He spent most of his early years divided between skiing and home brewing. 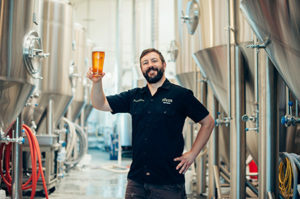 His first real job was at the Utah Brewers Cooperative and he was hooked. He worked at the legendary local Will Kemper’s Chuckanut Brewery before landing at Full Sail in Hood River, OR. While in Hood River he met his future partners, Ken Whiteman and Rudy Kellner and that lead to pFriem Family Brewers. They shared a deep love of family, the Columbia River Gorge and of course, great beer — but more importantly, each brought his own unique skill set to the table, creating the means and vision to not only make great beer, but to operate a great business. In August 2012, pFriem Family Brewers opened its doors for the first time, and the three founders realized the beginning of their unique dream. Today, pFriem is on just about everyone Top list of great PNW Breweries. They stand apart in their crafting of world class Pilsner. Pilsner might be ubiquitous in the macro lane. But, it takes a deft hand and dedication to make great craft Pilsner. Josh Pfriem does just that. The post pFriem Family Brewers appeared first on Madewine's Sippy Cup - Blog. 1) Who was responsible for the scar on Seamus Dever’s stomach? 2) Who on the show has never seen The West Wing? 3) What is Stub’s go-to karaoke tune? 4) Who are our favorite hot TV moms? 5) What was the greatest use of a song on television ever? 6) Who on the show has never seen M*A*S*H? 7) Which characters would we be if we formed our own A-Team? 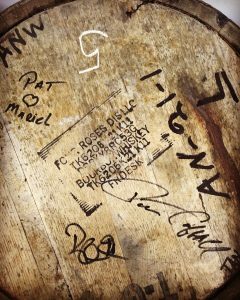 We are beyond honored to have procured our very own barrel of Bourbon form one of Kentucky’s oldest distillery – Four Roses. We only have a dozen cases of this batch, unlike any other, and we want to share with you! Nose: Woody and spicy with nice notes of char, fruit and dark sweets. Palate: Delicate, woody, fruity, fresh, creamy, caramel, vanilla, and toffee reminiscent of Fiddle Faddle. Overall: This is smack you in the face solid bourbon! Complex, Rich and Warm. Enjoy a glass of this any time. The post Four Roses Esquin Single Barrel – OESK appeared first on Madewine's Sippy Cup - Blog. Three Days. One Great Tasting Weekend. February 2, 2017(Seattle, WA) – So much to taste and now more time to taste it! This year “the experience” as its known, brings three days of deliciousness to the Seattle community. 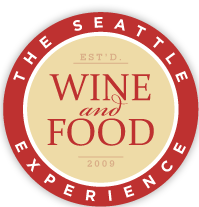 Be sure to tell your friends and get your tickets early to the Seattle Wine and Food Experience (SWFE) weekend of events on February 24 – 26. The newly-expanded weekend features three events: POP! Bubbles & Seafood, Comfort (NEW) and the Grand Tasting. A total indulgence for foodies, the weekend includes 300+ vendors from Seattle’s best chefs (ranging from gastro pubs to fine dining establishments), distillers, local cider and brew masters with more than 600 wines throughout the weekend. Just in time for Valentine’s Day, this could be the perfect gift for all the wine and food lovers in your life. POP! Bubbles & Seafood: Friday, February 24, 2016 at McCaw Hall, 6-9pm * More than 40 kinds of bubbles to sip; paired perfectly with seafood. * World-class seafood from 20 of Seattle’s best chefs. Check out the divine menu here. * Oyster bars from Hama Hama, Salted Sea Seafood and Raw Bar and Taylor Shellfish. * Saber-Off Competition featuring emcee and Chef in the Hat Thierry Rautureau and returning champion Leslie Kelly of All Recipes. Watch last year’s video here. * The S.Pellegrino and Glass Vodka ice luge is a must! * Comfort is the newest and coziest addition to the Experience with so much fun, it’s just crazy! * Mac & cheese, burgers, doughnut wall, fried chicken and many more comfort foods. Check it out here. * More than 50 craft beers, ciders, bubbly and more to quench your thirst. * Do-it-Yourself Bars: Hot Toddy, Bloody Mary, S’mores Bar, French Fry Potato Bar and more. OMG. * Rock out with your friends to tunes by DJ Branden Landon and take photos in the Shutterbus. * Wear comfortable clothes…perhaps elastic waistband? THE GRAND TASTING – Sunday, February 26, 2016 at McCaw Exhibition Hall 1-5pm * More than 500 wines, plus distilleries, beer and cider, Oh Yes! Here is the list. * Fare from 25 local chefs and 25 specialty food makers. Check out what they are serving up here. * Explore the Celebrity Modern Luxury Lounge for a chance to win a cruise! * Yakima Valley Craft Food and Beverage Experience. Yakima is bringing it this year with chefs, wineries, breweries and more. * The Savor Experience from SLO CAL. Learn about the Central Coast of California, taste wine, craft beer and more. * The Sweet Suite–Indulge to your hearts content. Some of you may never leave this area. * The “Pearls” of Ste. Michelle Wine Estates with wines from Canon 13, Intrinsic, Mamma Mia and more. * Taste from Nicky Farms exotic meats, Rain Shadow Meats Butchery Block, Sustainable Alaska Seafood and American Lamb. * Buy your favorite wine, beer, cider and spirits from participating vendors all benefitting Les Dames d’Escoffier. Don’t forget to check your purchases at the QFC Wine Valet while you enjoy the event! * Check out the video from last years Grand Tasting here. Seattle magazine’s Seattle Wine and Food Experience brings the city’s vibrant culinary and beverage scene to life. The Weekend Pass ($220) is the best deal for that special foodie in your life. 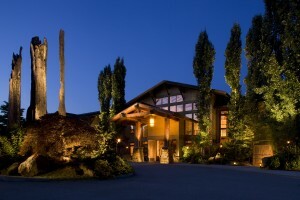 For more details on the events including pricing packages, visit seattlewineandfoodexperience.com. Don’t delay, this event is guaranteed to sell out! About Seattle magazine For more than 50 years, Seattle magazine has chronicled the life and dynamic changes of one of the most innovative, forward-thinking cities in the United States. 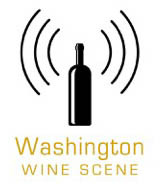 With a readership of more than 191,000 and a circulation of 46,000, it’s the most subscribed-to city magazine in Washington State, connecting locals and newcomers to the best local food, travel, wine, beer, spirits, design, arts, culture, people, businesses and tech the region offers. Seattle magazine is published by Minneapolis-based Tiger Oak Publications which also publishes Seattle Business, Seattle Bride and custom publications locally as well as dozens of other titles across the country. Learn more at seattlemag.com and at tigeroak.com. Coming up this Sunday, January 29th is Weddings in Woodinville. A great event if you are planning a wedding in the area. It’s amazing to see these venues all ready for your day. In addition to the venues you can find caterers, photographers, transportation, and everything else you might need for your wedding. Get your tickets here.